Imagine if you will, you are 6 years old and it's a Saturday afternoon. You are sitting in a Pastelaria (bakery) in Lisbon, Portugal and you are surrounded by the amazing scents of freshly baked bread and a myriad of cakes, different shapes, different sizes, colors, some are sugared and others covered in chocolate ganache....everyone around the table places their order and then it comes to you. Cake, bread, what am I going to have? For some it may seem like a hard decision and actually looking back I would have thought that too, but for me there was only one thing on my mind. Paezinhos de leite com fiambre e queijo. Portuguese Milk Rolls with Ham and Cheese....oh and a Galao (a hot drink made with espresso and foamed milk). THAT was my piece of heaven right there. 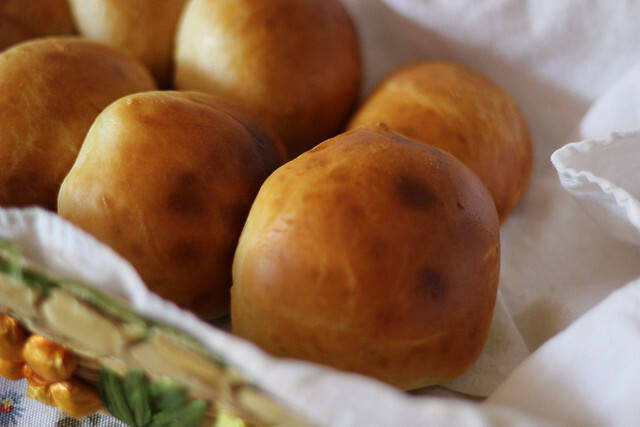 It's been so many many years since I've had one of these rolls, but today I was sitting in the kitchen trying to figure out what to make for lunch and it hit me. 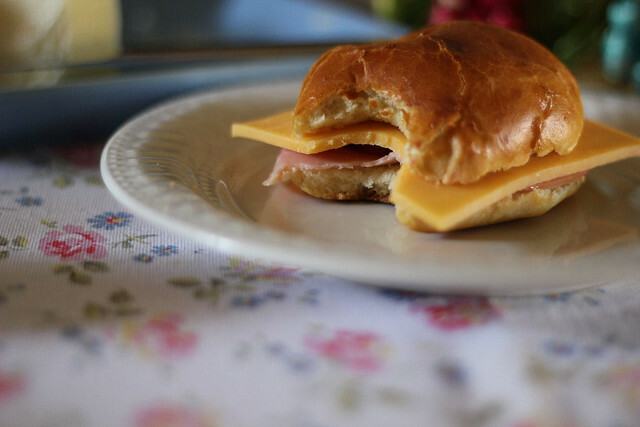 Why not make this special lunch for my children and pass on to them not only a bit of my heritage but some of the amazing memories which I still carry with me to this day? 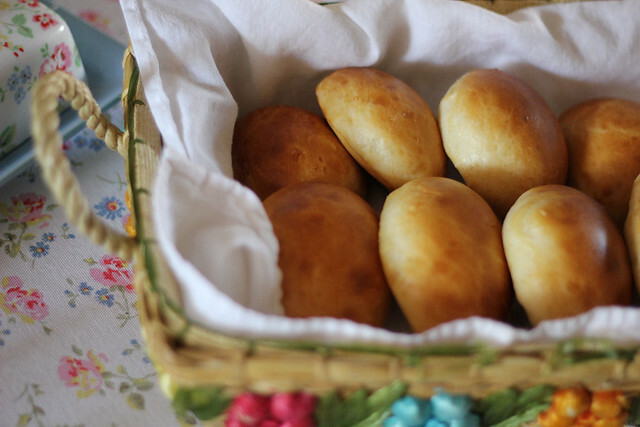 Place the ingredients in your bread machine following the directions. For mine, I add all the liquids first, then the dry except for the yeast. I then make a small hole in the dry ingredients using my finger and pour the yeast into the little well. Set to the dough cycle. 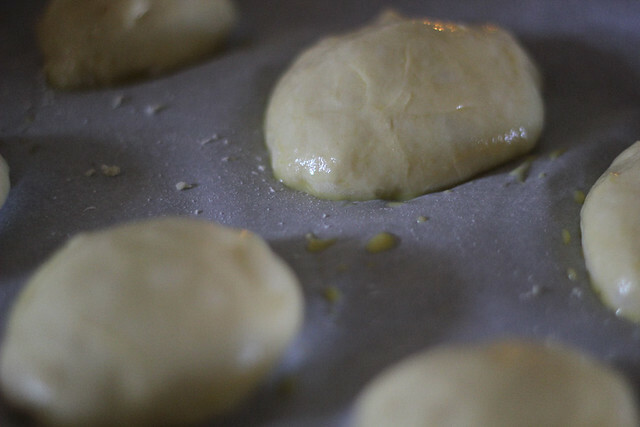 When done, remove the dough, place it on a floured surface, then make small rolls by pinching off balls of dough. These rise quite a bit so don't make them too big. I like shaping mine into ovals. Place them on a cookie sheet lined with parchment paper. Preheat the oven to 350 degrees. 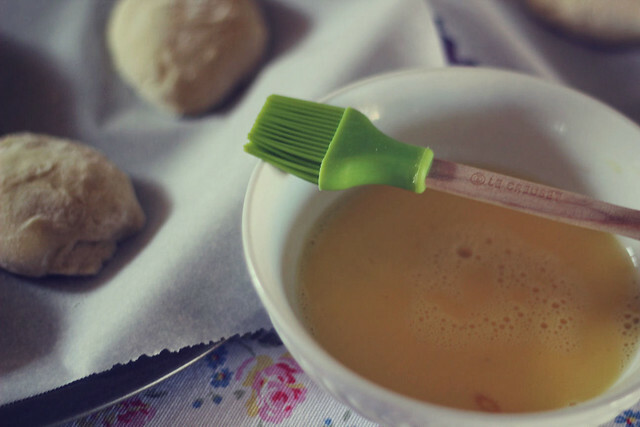 In a small bowl, mix the beaten egg with a little bit of milk. Brush the tops of the rolls and then let them rise for about 30 minutes. Place them in the oven and bake for 25 to 30 minutes until nice and brown. Enjoy! Best way to have them, or at least my favorite way, is to eat them warm, slathered with butter, a slice of cheese and a slice of ham. Thank you Sandra, I will be making these soon! Those look soooo good! Is the egg listed in the ingredients for the dough or for the egg wash? Rolls are in the oven thank you for sharing. My father-in-law is Portuguese and I am always trying to find authentic foods to surprise him with when we visit. Lovely idea! 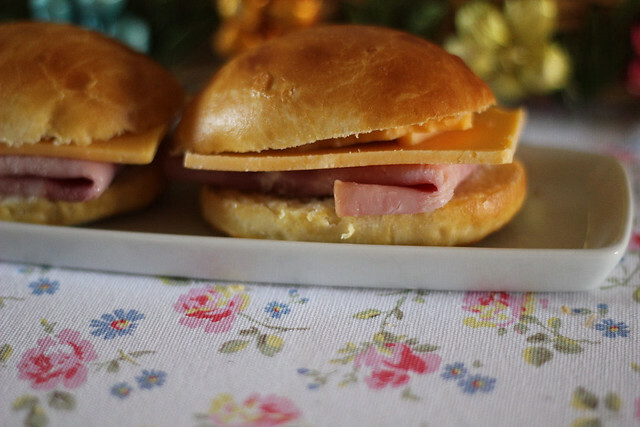 We love them for ham and egg sandwiches! You are an excellent food photographer....I was curious, do you have a backround in it? It just looks so well put together! this is a welcome treat.. found you from Wild Yeast.. while I was looking for the Pao do Avo, .. and this looks just as good. Too late to start this today, but I later this week, Voila!